Recent commitment to go to the gym regularly, I start the gym for two days and then gym announces they have a holiday on wednesday. First of all my body is aching all over due to workout, usually it starts getting better from the third day, bending and picking up son’s firetruck is a task. So if there is a break on the third day then 4 th day is back to day 1 again… Oh no! I know his nataks so I never feel guilty after dropping him off to school plus he has super loving teachers who do whatever it takes to keep him comfortable and about a dozen girlfriends who gives him all the bhav in the world, I wonder what more he wants?, yes I realise the earlier phase of oedipus complex has started…”sale ko sirf maa chaiyee”. Oh what to do with my phone? After drowning about 4 phones and one digital camera in water, I did not want to repeat it, I remembered a labourer walking out of a construction sight talking on the phone with a pink crumpled polythene bag covered on his phone, great idea! Since I am a bit sophisticated I covered my phone with a zip lock bag and out I was on the road in the drizzling rain..
Confession I am a super filmy person, as it was raining I put A.R.Rehman’s songs, walking on the roads with thoughts taking me back to memory lane, and suddenly Splash!, a car splashes muddy water on my legs, its then I realise arrey! Why did I have to wear white shorts…well thats ok….I continue my walk…as I walk a dog came marking his territory near me and I looked back, “Dont dare mess with me now” he walks in the other direction, not bad…not only I scare people away I can scare dogs away as well, So now I don’t need to look for pebbles lying on the roads to get rid of street dogs… I have got super powers, just one look to scare road romeos and animals…most of the time it works, I am successful in scaring road romeos as well with a look. Still walking listening to music, I walk to and fro this road outside my home, a security boy (must be in his early 20’s) is sitting under the tree on a chair, I notice that he had nothing to do so he is watching me just like someone watches television. I ignore, as I take my third round he tries to smirk fishly , in my head I have already kicked his chair, he flies up on the tree, chair thrown far back like I have seen in many south indian movies and now many hindi movies who copy them as they have nothing new creatively to do. By now this boy is hanging on the tree but in reality he guessed my deadly stare and looked away, for the rest of the few minutes he dared not disturb me by staring as I walked pass him. As I was enjoying the music, the weather, the walk, my alarm on my phone rings.. Time up…exercise done, thoughts processed…time to return. As I return, I take the lift to my home… Ha!ha! those who know me know on which floor I stay and to take the lift is hilarious specially when exercise is your agenda. 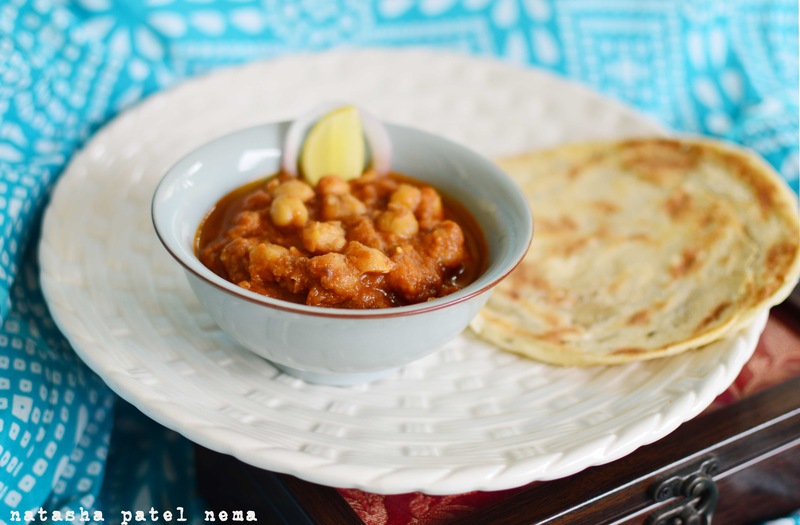 Pressure cook the chole, channa dal with a tea bag. In a non stick pan heat the oil, add the onions cook on a low flame, once the onions are pink add garlic and ginger. Cook till the onions are brown. Cool it and puree it. In another pan heat the ghee add the bay leaf, onion puree, chole masala, chilli powder, amchur, annar danna powde, let it cook for 2 minutes or till all the spices are cooked. Add the tomato puree, cooked chole with channa dal, salt add the water left from the pressure cooker. Cook for 10 minutes on low simmer. 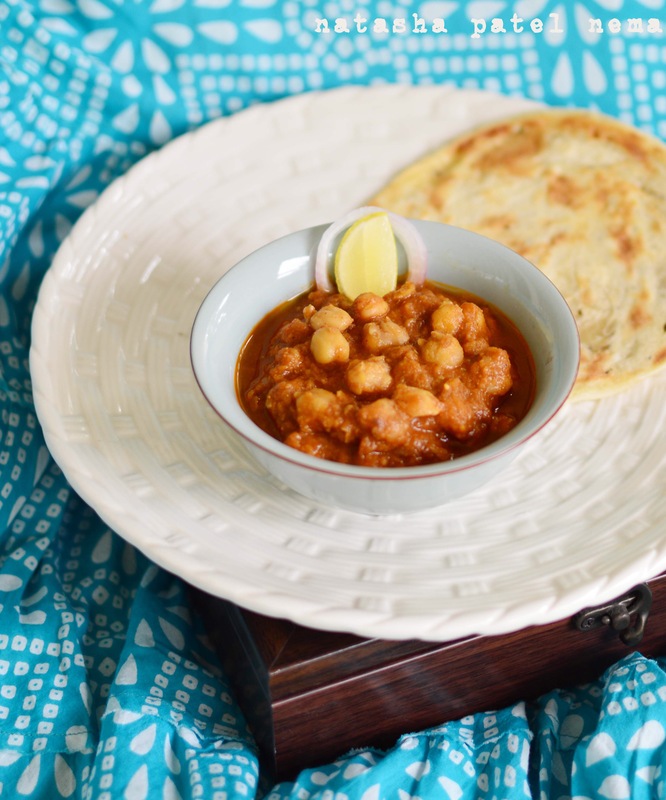 Serve hot with roti, kulcha, puri, rice, bread… Options are unlimited. Great post and your writing always makes me smile! The mothering part is so universal! 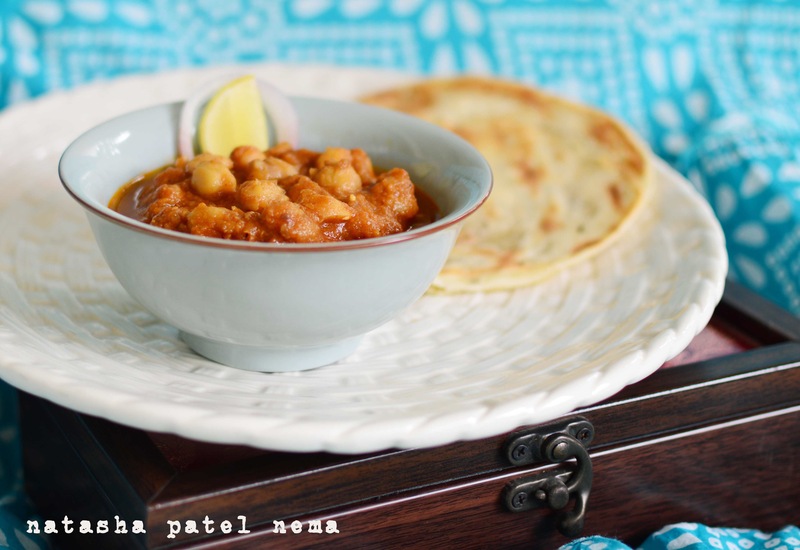 But what is chole and channa dal? I must confess to total ignorance!